I'm sure Trump can handle it. He's such a good sport and all! 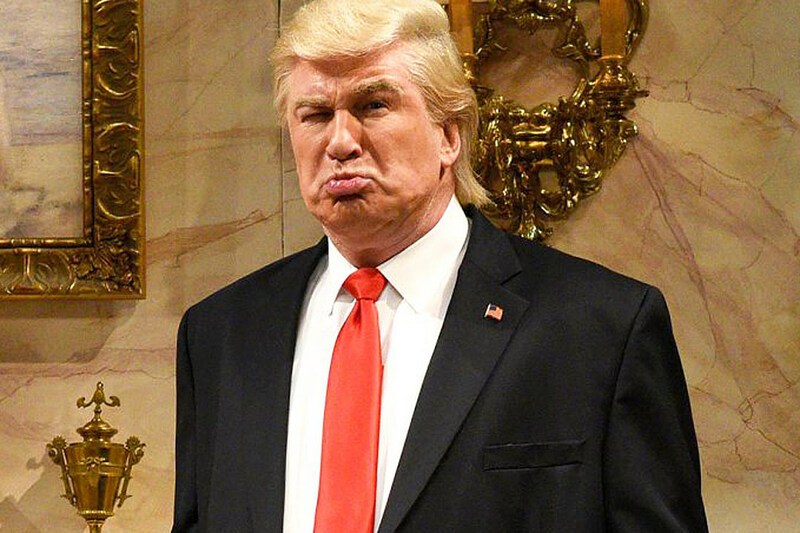 It seemed perhaps a little odd that Alec Baldwin’s Trump was nowhere to be found on the first post-inauguration SNL, but Baldwin is more than making up for it. SNL has officially booked a record-setting return for Baldwin as host, and Trump Twitter is officially on notice. After Aziz Ansari’s hosting debut revealed that Kristen Stewart would similarly host her own inaugural installment on February 4 (with musical guest Alessia Cara), NBC confirmed that Baldwin would follow on February 11. The former 30 Rock star currently holds the SNL hosting record, sitting at 17 episodes, as of February. Joining Baldwin for his SNL return is musical guest Ed Sheeran, who makes a second appearance on the NBC series after accompanying Seth Rogen in 2014. No doubt Baldwin’s Trump will be on full display during the February 11 show, to say nothing of what other venues might feature the impression, but stay tuned for news on Kristen Stewart in the meantime.